1. Will you please give me some tips for being content while living on a small budget? You are such a great example to me in this area, as I know you have 4 boys and a smaller food budget, etc.! I think thinking of it as a game instead of a deprivation really helps me! I think back over some of the really hard times we had and what we ate, and it really puts things in perspective! Some of them, i am ashamed to admit we did them, but you do interesting things when hungry. I love to figure out how to make something that still tastes good, out of not much food. It gives you a good feeling inside! 2. What do you love about Montana? Dislike? Pretty much everything about it…..it is one of the most beautiful places in the United States, I think! You are free to more be yourself as well here, people are not as into high fashion, fancy cars, but more down to earth. Cars can be covered in mud and no one thinks anything of it, except they must have a long driveway. The only things i can think I dislike about MT is eastern MT. It is too windy, dusty and not very pretty over there! Hard question!!! I love tea! I am not a coffee drinker, but just really, really love tea. I really like Chamomile tea (Is that dull?) and lemongrass Green tea. 4. How many births have you attended (as a doula)? Does your mom attend many births still? Do you see yourself ministering in that realm in the future  i.e. is it a passion you have and plan to pursue? I think only about 25-30, but I have not counted recently. My mom does attend births still. I do not want to ever be a midwife, but I see myself as getting more involved in ministering to single moms, young moms, teaching or writing about post-partum care and teaching women how to care for themselves. I love helping women. It is an amazing privilege. 5. Tell me what you ate today (or the meals you prepared). Oh dear, you would have to ask hard questions!!! The boys had oatmeal for breakfast and I had a taco for lunch, mostly inspired by your mexican food on your blog. I have been craving it ever since, and then for dinner, I was going to make broccoli soup, but we had mashed potatoes in the fridge, so I made potato soup out of them. My one son, just wanted plain mashed potatoes and since we did not eat all our leftovers on Sunday, we had leftover chicken and mashed potatoes with gravy too. It was light on vegetables though as it is near the end of the week for us and our vegetable supply starts to run low! 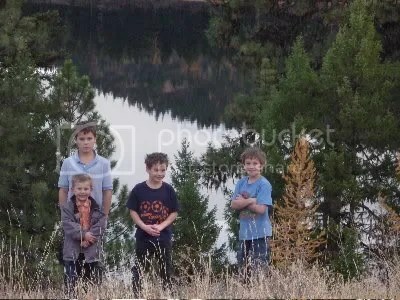 homeschooling4boyz · Book Reviews, Homeschooling and Recipes and the adventure of it all!